Dont throw away old eye shadows, lipgloss, lip balm containers RE USE THEM! This is so easy and cheap to do and there fun to make. 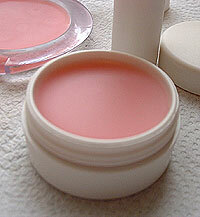 - small containers or lipbalm/lipgloss containers. - small containers or lip balm/lipgloss containers. 5. Put the lipbalm into the fridge for an hour. 3. Now use a tooth pick or tea spoon and mix it. Now your ready to try your new lipbalm and lipgloss!